ECOT board president Andrew Brush addresses a Statehouse rally just hours before the ruling. A state hearing officer has dealt another blow to the Electronic Classroom of Tomorrow - the state's largest online charter school - in its battle with the state. 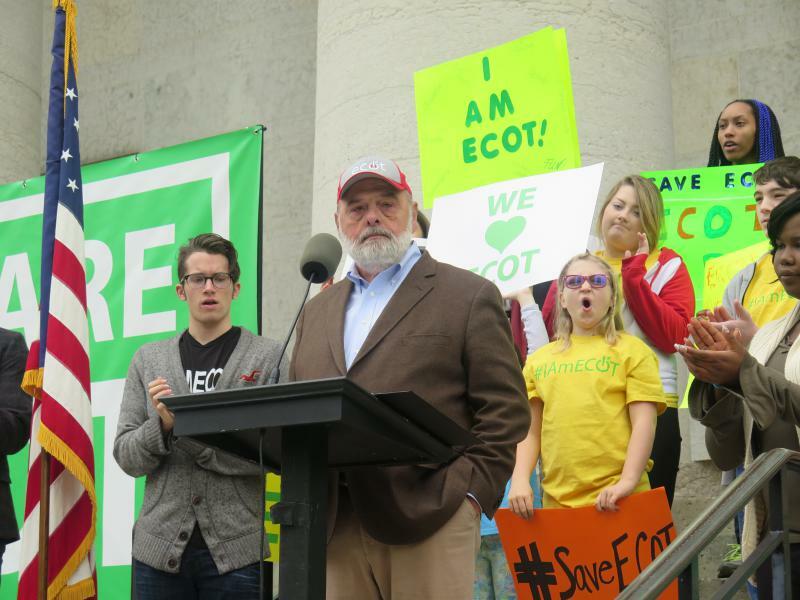 Before several hundred students, parents and staffers in a rally at the Statehouse, ECOT board president Andrew Brush said the school was in a fight for the future of education in Ohio. “And in this fight, we don’t want special treatment. We merely want the right to fair treatment and equal protection under the law,” Brush said. 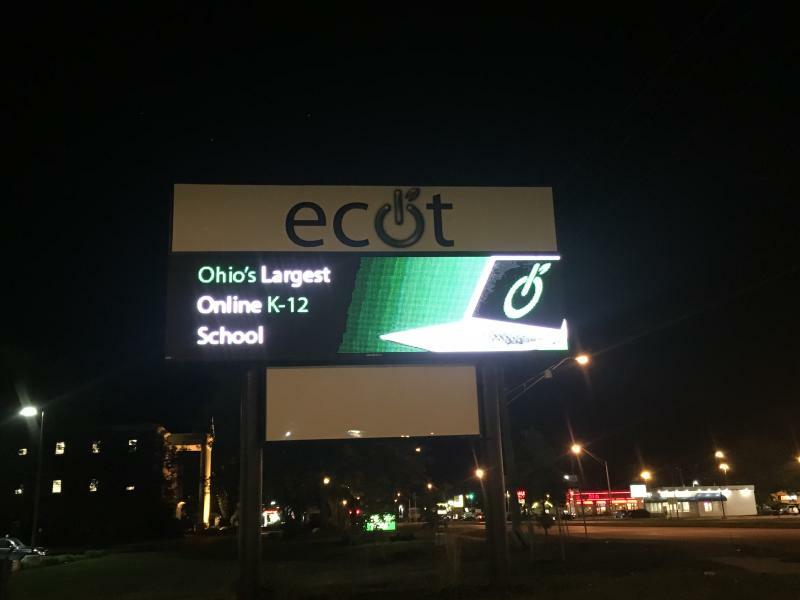 Just hours later, a state hearing officer sided with an Ohio Department of Education audit showing that ECOT could prove only about 40% of the more than 15,000 full time students it was paid for. 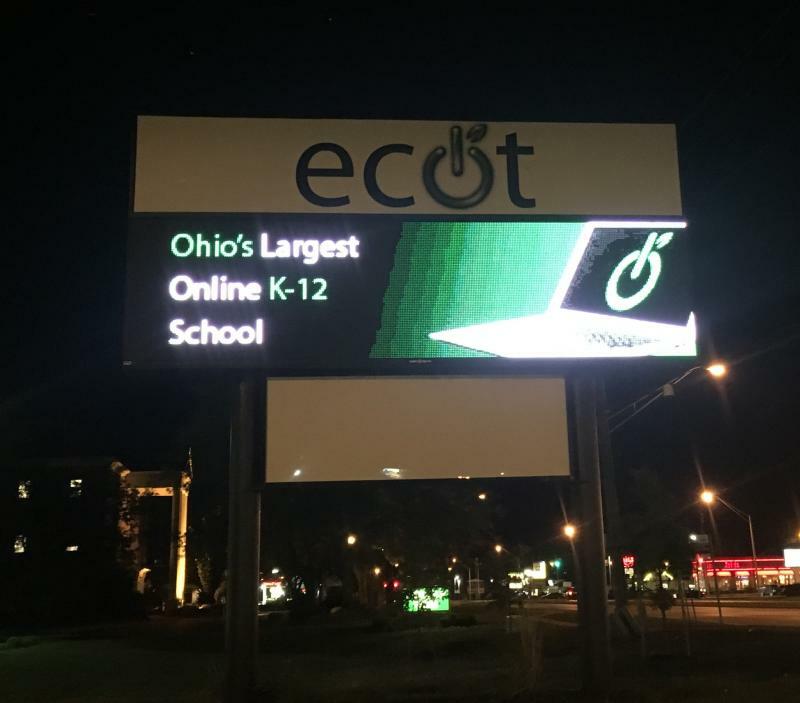 He ordered ECOT return $60 million, or the money could be deducted from future payments. 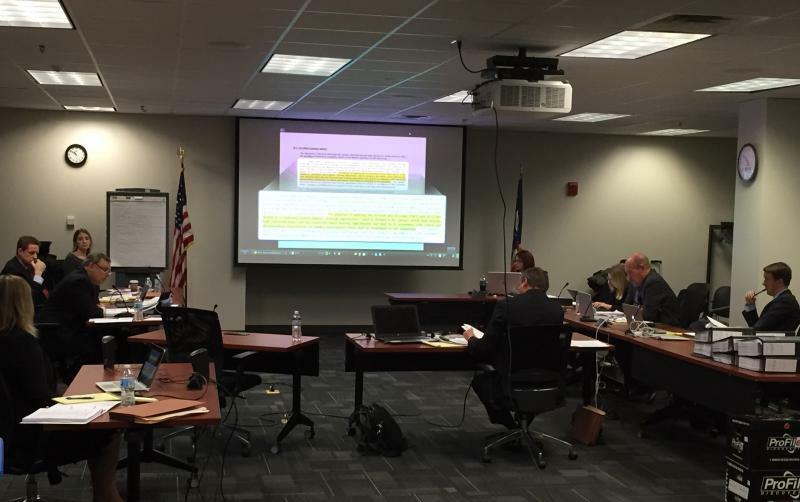 ECOT had appealed ODE’s claim, saying the state unfairly changed how students are to be counted. 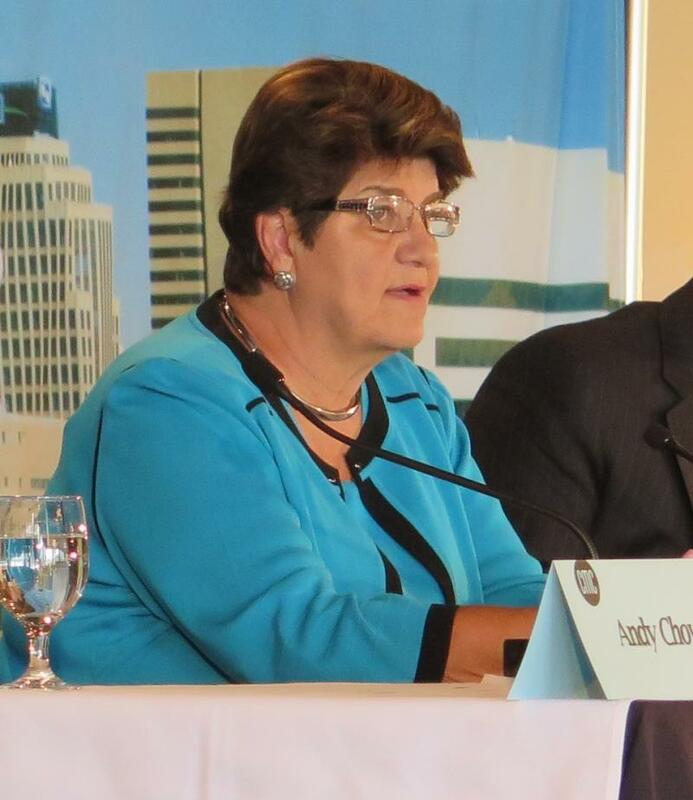 The state board of education will take up the hearing officer’s ruling at its June meeting. 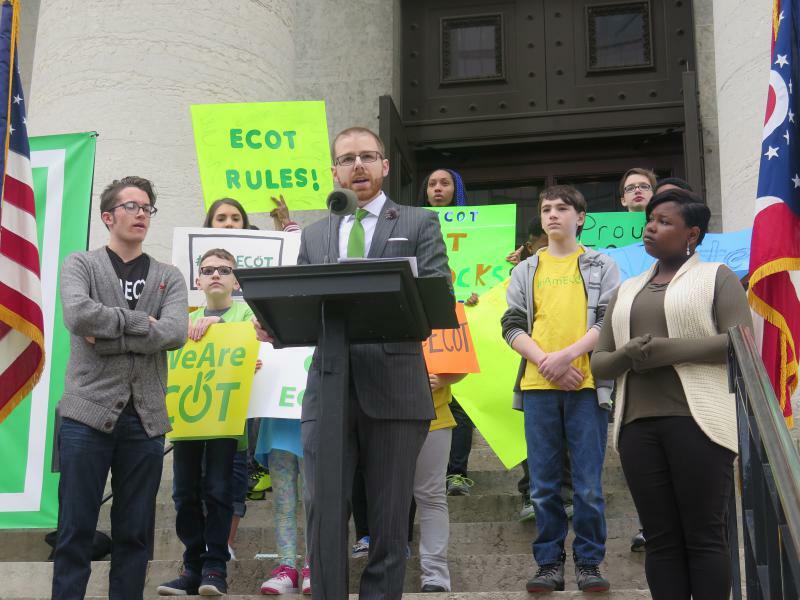 The battle between the state and its largest online charter school brought supporters of the Electronic Classroom of Tomorrow, or ECOT, to the Statehouse. And the crowd of hundreds of students, parents and teachers also included a well-known but rarely seen figure. Ohio’s auditor has issued a report critical of the state’s largest online charter school, saying it isn’t tracking the amount of learning time of the 15,000 students it claimed were enrolled last year. The state’s largest e-school is fighting to keep up to $60 million that it could lose because of an enrollment audit that the school says was improperly conducted by the state. A Franklin County judge has dealt a serious blow to the state's largest online charter school and siding with the Ohio Department of Education. The state’s largest online charter school is crying foul after the education department released a report showing it fell short of its estimated attendance by more than 50%. But a top education lawmaker says Ohio taxpayers deserve to know what their money is going towards.